DJDANIELSUN as THE DISCO PUSHER. Turntablism is the art of manipulating sounds and creating music using phonograph turntables and a DJ mixer AND HELLO DINO! This psychedelic MIX tells a story of a Los Angeleno who is white and DOES NOT fit into the neighborhood in BRENTWOOD anymore thanks to the current Presidency. His desire to Do The Right Thing leads him to finally realize that life is NOT just a box of cereal and that he could actually get into a funk box and not get out if he doesn&apos;t call the cops. As he starts to rock in the rhythm of his caucasion heart he understands he should follow his inner voice and stop listening to THE DUM FUNK Los Angeles is Worldly known for. 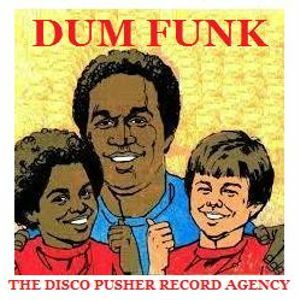 What a struggle through THE DISCO PUSHER vinyl record collection and who says a funk band can&apos;t ROCK and ROLL. That I like! THE DISCO PUSHER RECORD AGENCY PRESENTS ANOTHER CHARMER in the UNDERGROUND PLAY and COLLECTIONS of MIXED TAPE.